We are a family run operation, based on the Lizard in Cornwall, hence the name - Lizard Tackle & Bait. Theres me - Tony - Ive been fishing for approx 37 years, started with my dad and grandad mainly fishing on the River Trent in Notts. 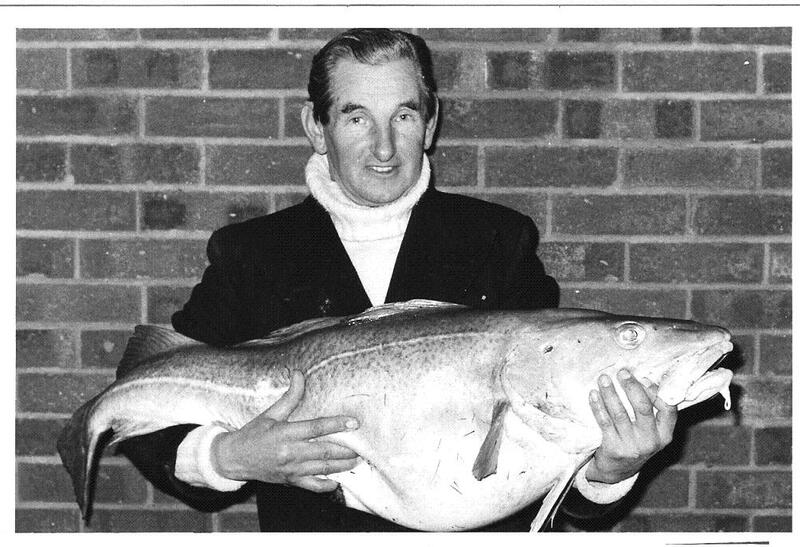 Got hooked on Sea fishing thanks to my Grandad (Charlie Scutt - pictured below) who moved to the IOW, this is were I spent a lot of my summers as a lad learning the trade from the shore and the boats. Then there Josh, the no1 , a good all round angler who started fishing at the age of three on Mevagissey harbour. His best catch to date a 20lb common carp caught and landed himself. Together we form Lizard Tackle & Bait and Lizard Rigs, we are expanding our product range constantly and sell live and frozen baits as well as many types of rods, reels, lures and terminal tackle from our base on the Lizard Peninsula. We are open 7 days per week all year round...Our ethos is to produce quality hand tied rigs a reasonable prices, something I think we achieve. All our rig orders are hand tied to order, by doing this we can offer a greater flexibility in terms of the finished product to meet you the customers needs and to supply a wide selection of tackle to suit our cutomers needs..